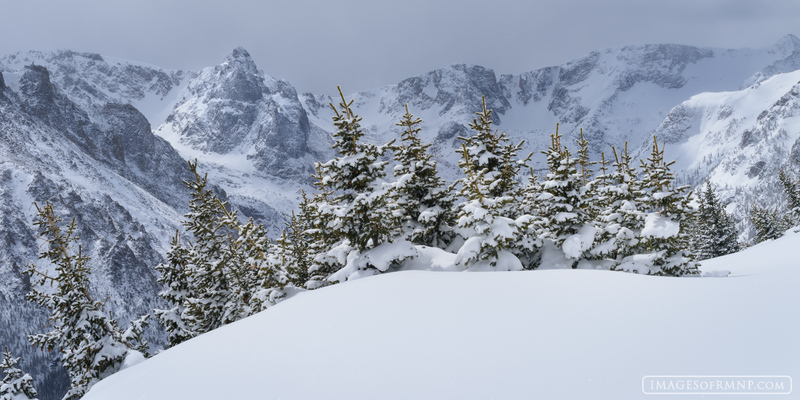 In the winter the inner mountains of Rocky Mountain National Park become almost mythical. The heavy snows add a sense of wonder and mystery to them perhaps making them even more stunning than they are during the height of summer. Here the pines almost seem to bow before the splendor of Hayden's Spire on a snowy winter's day. Photo © copyright by Erik Stensland.